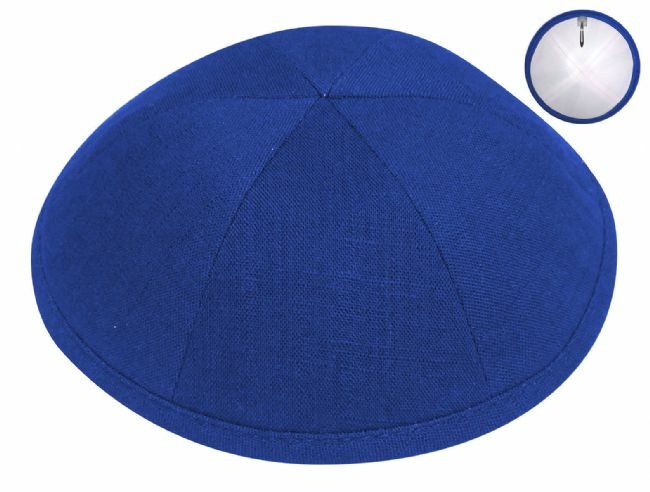 Linen Kippot with clip. Available with or without button. Button slightly higher price.